Located in the Cape Peninsula and surrounding South Western Cape Districts, March 2016. 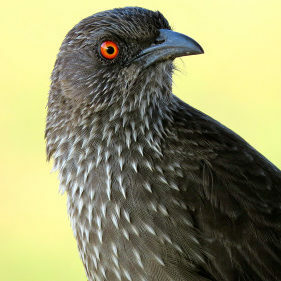 The name of the club is “the Cape Bird Club” (referred to hereinafter as “the CBC”). 2.1. The CBC shall be a member of and affiliated to BirdLife South Africa (referred to hereinafter as “BLSA”). 2.2. The CBC shall sign an Affiliation Agreement with BLSA which shall come into effect on the date of signature by the parties. The Affiliation Agreement shall be in force until terminated by either of the parties following written notification of intention to the other party at least 60 (sixty) calendar days prior to the proposed termination date. Should the Affiliation Agreement be terminated prior to the intended expiry date, the arrangements or activities already in progress shall remain in force until the completion of the activities. 2.3. The CBC supports the aims and objectives of BLSA and agrees to abide by the terms of the revised BLSA Constitution adopted on 21 March 2015. The CBC has legal personality distinct from its members, who shall have no right to the assets of the CBC. The liability of members shall be limited to the amount of the unpaid subscriptions, if any, owing to the CBC. The objectives of the CBC are to promote the enjoyment, understanding, study and conservation of birds and their environments, primarily in the geographical regions of the Cape Peninsula and the surrounding western Cape areas. 5.5. seek membership of and/or forge relationships with BLSA and other bird clubs or conservation associations. 6.1. The CBC shall not accept any donation that may be revoked by the donor for reasons other than that the CBC has failed to abide by the designated purposes and conditions of the donation. 6.2. Where a donor seeks to impose conditions, the Committee will decide whether those conditions may be detrimental to the CBC’s objectives or reputation and, if so decided, the donation shall not be accepted. 7.1. All of the resources of the CBC shall be used solely for the purposes of realising the objectives of the CBC. 7.2. None of the CBC’s funds shall be distributed directly or indirectly to any person unless this occurs in the course of undertaking an activity consistent with the objectives of the CBC. 7.3. The provisions of 7.2 shall not prohibit the payment, with the approval of the Committee, of reasonable payment to employees / consultants, provided that such payment is not excessive and does not economically benefit any person in a manner inconsistent with the objectives of the CBC. 7.4. The funds of the CBC shall be deposited in an account or accounts with registered financial institutions which shall be operated on by the CBC’s Treasurer in conjunction with the Chairperman or vice-Chairperman. The Treasurer shall keep a full, faithful and business-like record of transactions with moneys of the CBC and preserve all vouchers and documents pertaining thereto. The Treasurer shall submit at the Annual General Meeting an audited account of receipts and expenditure for the year ending 31 December preceding. All disbursements shall be authorised by at least two designated Committee members either for each single disbursement or for a series of regular and recurring disbursements. a. Application for membership must be submitted to the CBC. (ii) a member of the CBC only, in which event he/she shall be referred to as an Affiliate Member of BLSA and pay a nominal affiliation fee annually as set by BLSA. c. A person applying for or accepting membership shall be deemed to have agreed to be bound by this Constitution and any amendments thereto. A copy of the Constitution shall be made available to a member for inspection on request. A register of members reflecting their names, addresses and category of membership shall be maintained by the CBC. The contents of the register shall be deemed to be correct and the Committee shall be responsible for ensuring that the information on the register is correct. The Committee shall from time to time prescribe the membership fees payable by any category of members or class within a category and the time and manner of payment. The Committee may review the different membership categories and membership benefits, subject to the approval of members at an Annual or Special General Meeting. The Committee may grant Honorary Life Membership of the CBC to a maximum of six members who have contributed significantly to its operation and activities over an extended period of time or to persons other than members in recognition of their outstanding contribution to ornithology or conservation. c. a member acts in a manner detrimental to any of the objectives of the CBC as determined by the Committee and after due and proper enquiry. 9.1. The affairs of the CBC shall be managed by a Committee, comprised of at least 5 (five), but not more than 9 (nine), members. 9.2. The Committee shall be elected at the Annual General Meeting. Nominations shall preferably be in writing and a nominee shall consent in writing or in person at the meeting. 9.3. The Committee shall be entitled to co-opt additional members. 9.4. Committee members, including co-opted members, shall hold office until the following Annual General Meeting, when they shall retire but be eligible for re-election. 9.6. The members of the Committee, while in office, shall accept fiduciary responsibility for the CBC. This includes a duty to avoid conflicts of interest and a duty to act in a way that does not bring the CBC into disrepute. d. the Chairman of the meeting shall have a casting and a deliberative vote. The Committee shall manage the affairs of the CBC and do whatever it considers appropriate to achieve the objectives of the CBC. d. shall conduct an audit of its financial affairs or its Annual Financial Statements. 12.1. The Annual General Meeting shall be held not later than 4 (four) months after the close of the financial year. At least 14 (fourteen) days’ notice of the meeting shall be advertised to all members. 12.2. Only paid up members shall be eligible to vote at any Annual or Special General Meeting. f. consider and vote upon any necessary business. 12.4. The Committee may call a Special General Meeting whenever it thinks fit. The Committee shall also be obliged to call a meeting when requested in writing by no fewer than 30 (thirty) members of the CBC. The Committee shall give members at least 14 (fourteen) days’ notice of a Special General Meeting. 12.5. The quorum at an Annual General Meeting or Special General Meeting shall be not less than 40 (forty) persons who are paid up members of the CBC present in person or by proxy. Should a quorum not be attained, the meeting shall stand adjourned and not less than 14 (fourteen) days’ notice shall be given to all members of the date of the adjourned meeting, at which meeting the members present shall be deemed to constitute a quorum regardless of the number of members present. 12.6. The financial year of the CBC shall be 12 (twelve) months preceding 31 December each year. 13.1. The vote of the majority of those members present and entitled to vote at an Annual or Special General Meeting shall prevail. Voting shall be by a show of hands unless the Chairperman determines that a ballot shall be held. 13.2. The Chairman presiding at the meeting shall have a casting and a deliberative vote. 13.3. A person entitled to vote may appoint another member for one meeting as his/her proxy, to represent him/her and to vote. This proxy shall be delivered in writing or by email to the Chairman or Secretary before a meeting. The proxy letter shall contain the following details: Name of member, date of meeting, name of proxy, and if desired, voting intention(s). 14.1. The Constitution may be amended or the CBC may be dissolved by a resolution passed by two-thirds of the members present in person or by proxy at a General Meeting of members, provided that the notice of the meeting shall have set out the proposed amendments and the reasons, or the proposed dissolution and the reasons, as the case may be. 14.2. If the CBC is dissolved, the assets of the CBC shall be transferred to a Public Benefit Organisation or Non-Profit Organisation or Institution that has aims and objectives similar to those of the CBC. The beneficiary must be decided upon by members prior to dissolution at a Special General Meeting. Copyright © 2016 CAPE BIRD CLUB, All rights reserved.